On Monday October 31, Legoland will open at Dubai Parks & Resorts, as will shopping and dining destination Riverland (take a look at that here). 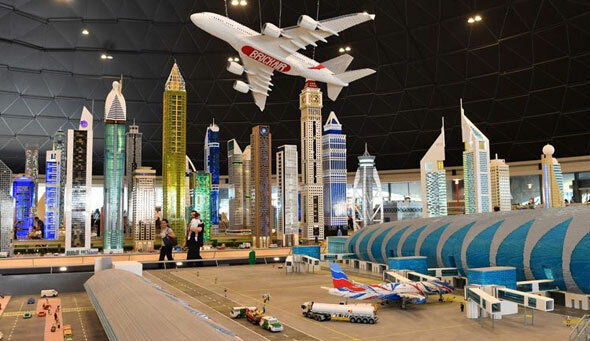 Yes, that is the world’s tallest building made out of Lego. Unfortunately, we’ll have to wait until November 15 for Bollywood Parks, Legoland Water Park and the Lapita Hotel to open. And the Hollywood-themed Motiongate? That won’t be open until Friday December 16. Each day brings a new achievement for the UAE as we realise our ambitions; each new project we complete pushes us towards the future. Dubai Parks & Resorts is made up of six different components and is spread across 30 million square feet of land – it’s also strategically located near to the Expo 2020 location (maybe the site of the Expo will turn into some kind of theme-park once the exhibition is over? One can only dream…). Sheikh Mohammed also checked out the progress on Six Flags Dubai (yes, it’s ticking along), which will open in late 2019 – it will have 27 rides and attractions, including Thrillseeker Plaza, Magic Mountain, Fiesta Texas, Great Escape, Great Adventure and Great America. Word is it will have the world’s biggest rollercoaster when it opens too. 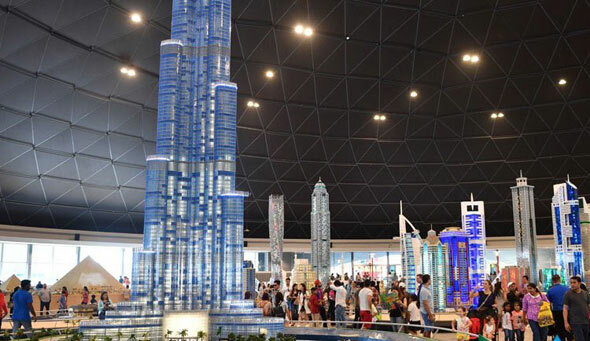 By 2020, Dubai is projected to welcome 20 million tourists annually, and this cluster of theme parks hopes to attract many of them. ”This national cultural achievement will add new building blocks to the structure of development and progress of the UAE,” Sheikh Mohammed said of the park on his visit. Riverland, as its name suggests, boasts rivers (mini ones mind). The Riverland dining and shopping area, will be free to enter, no tickets needed, so it could be a new spot for Dubai residents to regularly visit. 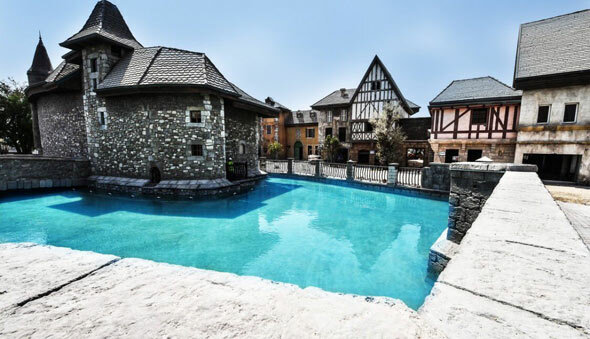 Riverland features towers, water wheels and alleyways, and there are four themed zones: there’s a 1950s America vibe at The Boardwalk, medieval France can be found at The French Village, colonial India at India Gate and then there’s the 19th century themed Peninsula. Tom Aikens’ first deli will be at Riverland. 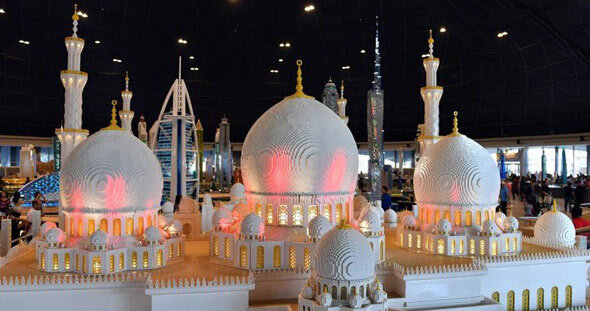 A Lego Sheikh Zayed Grand Mosque. This park is aimed at families with children aged two to 12 and it will feature more than 40 interactive rides, shows and attractions – it’s made up of 60 million Lego bricks and has 15,000 Lego structures. Motiongate Dubai: One day pass is Dhs280 for children and seniors, Dhs330 for adults, Dhs865 for annual pass. Bollywood Parks: One day pass is Dhs245 for children and seniors, Dhs285 for adults, Dhs755 for annual pass. Legoland Dubai: One day pass is Dhs250 for children and seniors, Dhs295 for adults, Dhs765 for annual pass. Legoland Waterpark: One day pass is Dhs205 for children and seniors, Dhs240 for adults, no annual pass option. Legoland Dubai & Legoland Waterpark: One day pass is Dhs350 for children and seniors, Dhs 395 for adults, Dhs995 for annual pass. Annual pass for all parks is Dhs2,495. One-day pass for all parks: Dhs430 for children and seniors, Dhs480 for adults. Two-day pass for all parks: Dhs650 for children and seniors, Dhs730 for adults. Three-day pass for all parks: Dhs765 for children and seniors, Dhs870 for adults. Four-day pass for all parks: Dhs790 for children and seniors, Dhs890 for adults. VIP tickets are priced at Dhs1,500 per park per day, giving guests access to queue skipping, a personal tour guide, as well as discounts on food and beverage and retail. As a comparison, tickets to the just-opened indoor theme park IMG Worlds of Adventure are Dhs300 for adults, Dhs250 for children under 1.2 metres and it’s free for those under 0.9 metres.